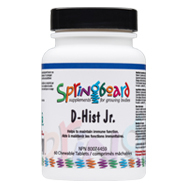 D-Hist Jr. is a great-tasting, children’s chewable tablet that contains vitamin C to help maintain a healthy balance in a variety of immune system functions. 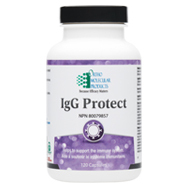 IgG Protect is a concentrated (40%) immunoglobulin G (IgG) formula designed to support the immune system. The immunoglobulin and growth factors in colostrum can promote passive immunity, or the transfer of immunity from one organism to another. Natural D-Hist is a blend of flavonoids, antioxidants, proteolytic enzymes and botanicals designed to provide support for seasonal challenges caused by common environmental allergens. 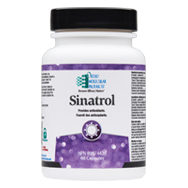 Sinatrol is a nutrient and botanical formulation providing antioxidants and digestive enzymes. 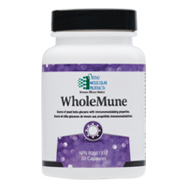 WholeMune is formulated with Wellmune WGP®, the most well-researched, yeast beta-glucan ingredient available. Yeast beta-glucans are insoluble polysaccharides with immunomodulating properties, particularly in the activation of digestive tract immune cells.